Pride and Prejudice is brought vividly to life by a kaleidoscope of different and even contrasting characters, most of whom are identifiable from their speech patterns itself. Of course, not all characters are or need to be equally realized. The plot of Pride and Prejudice lies more in the psychological movements of the characters than in the external events. This is particularly true in case of Elizabeth and Darcy. Elizabeth Bennet is presented as less beautiful than her sister Jane whom she loves without any envy. She is much more spirited and independent than any other young lady of her contemporary social frame. having the “self-respect” of a “gentleman’s daughter”, she is impatient with the pretensions and claustrophobic conventions of her times. At the same time, she prioritizes propriety and good sense unlike Lydia, who disregards the decent standards of conduct because of her hollow vulgarity. Elizabeth is her father’s favourite and inherits his “quick parts” on which she prides herself, perhaps a little too much. Elizabeth’s “lively, playful disposition which delighted in anything ridiculous” makes her attractive to women (her aunt and Charlotte Lucas in particular) and much admirable to men. Her discernment is not always as acute as she imagines it. Once her pride is hurt, as it is by Darcy’s cutting remarks at Maryton, her sense gets badly clouded by prejudice in which she stubbornly persists, in the belief that she is being “uncommonly clever”. Disregarding all evidence to the contrary, she is determined to believe the worst about Darcy and is completely taken in by appearances—most notably by the handsome and charming Wickham. At this point one might be tempted to interrogate the author’s intentions: Why her sense of justice and generally reliable rationality should abandon Elizabeth, why she should unreasonably twist every word and action of Darcy to devalourize him. This becomes less mysterious if one reflects that from the time of the original insult at Maryton, Elizabeth harbours a deep and ambiguous resentment towards him. A significant aspect of her apparently “romantic” attachment to Wickham and Colonel Fitzwilliam is the way in which she gets more serious and intimate with them when she manages to make them talk about Darcy. Therefore, the moment she receives Darcy’s letter, her eyes are opened and she acknowledges her own pride and prejudice. This comes much earlier that her subsequent understanding of her emotions concerning Darcy. Her emotions shift gradually from bitter hatred to a steady affection, encouraged by his treating her as his equal, which she believes herself to be. Naturally, despite her youth, Elizabeth refuses to defer to Lady Catherine’s rank, since it is unsupported by individual merit. Far from being brow-beaten by her into renouncing any claim to Darcy, she has enough moral courage to defy her. Such demonstration of moral courage appears to be all the more appreciable if we judge it in terms of the contemporary conventions of social hierarchy. What gives an added brilliance to her personality is perhaps the direct honesty, without any trace of cunning or treachery. Elizabeth certainly has faults. However, they are rather faults of impulsive generosity, not of any meanness of spirit. She fairly admits her errors and struggles towards a mature self-knowledge that she acquires towards the end of the novel. Her real charm is something undefinable and elusive. The greatest virtue of Elizabeth is, perhaps, her urge to transform, not remaining confined in stagnancy of stereotypes. She remains, for long, in the reader’s memory for her confidence and her courage to win over her follies. 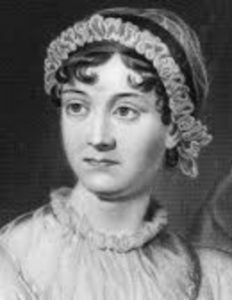 After all, Pride and Prejudice does not give a superficial treatment of life, it is a penetrating study of life and characters in all its complexities.